I just got back from two weeks canoeing the Yukon River. (That’s also the caption for the Wiki-photo at left.) And the “mighty Yukon” is the last place on earth I would expect to see a lady sun bathing. My last post – “Many furriners” – noted it was last July 26 – a Tuesday – that my brother and I started the drive from Utah to Whitehorse, Yukon Territory. (Shown at right.) Four days later – on Friday, July 29 – we met up with my nephew, fresh out of the Army. But back to the Yukon River. Once we three finished the “Chilkoot &$%# Trail,” my nephew flew back east – to Philadelphia – and from there to Penn State University, to begin fall classes. Which is another way of saying that paddling a canoe on Lake Laberge* – shown at left – is a real pain. It was Friday, August 12. We were a day away from Carmacks, and had been on the river five days already. (And finally made it off “Lake &^%$# Laberge.”) About 4:00 my brother was way ahead of me, when he went around a right-hand bend and looked like he was heading to shore, for a break. There followed one lo-o-o-o-o-o-o-ng right-hand curve in the Yukon, one that seemed to last forever. It was getting late and we were looking for the “good camp” listed in the guidebook. When I finally got to the end of the long right-hand curve, I could see something, way off, a half-mile or so ahead. (Where the river turned sharply to the left.) I saw two small dots, near the bank – at what I later learned was the “good camp” we were looking for. One of the dots was light and the other dark. The lighter dot kept moving, to the left, downriver, and I figured it was my brother. But I wasn’t sure which “dot” to paddle toward. So I took the middle course, and as I got close to the bend in the river, I could see the dark dot was a green canoe, turned over. (Which we never do.) Then – I began to see – there was a red blanket next to the canoe, and something light on it. 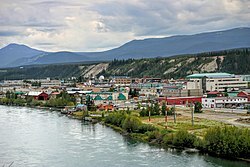 Which brings up the current on the Yukon River. Generally the current is pretty fast. It ranges from over four miles an hour up to seven miles an hour in some places. (Except on “Lake &^%$# Laberge.”) That’s the kind of current that helps you paddle 440 miles in 12 days. But it also means that when you see something totally unexpected, by the time you recognize it, the current is already moving you downriver. (Creating a flash in the pan, so to speak.) Which meant that by the time I recognized the naked lady as a naked lady, the current was already pushing me farther down-river. As to the lady’s identity: The last day on Lake Laberge we had landed – for a much-needed break – next to a couple in a tandem canoe. They were from Turin, Italy, and later on in the trip we kept running into them, further downriver. They pulled into Carmacks not too long after we did, on Saturday, August 13. And when we finally got to Dawson City – a shade after 3:00 p.m. on Saturday, August 20 – they had gotten there a few hours before. But enough about the Naked Lady on the Yukon. This is the first of several posts I plan to write about our other adventures this month. And as noted before, those adventures started with our hike on the Chilkoot Trail. To do that we first had to go to Skagway, Alaska. And at the left is my picture of beautiful downtown Skagway, the day we got there, last July 30. And among other other things, we also learned we’d lost an hour crossing into Canada. That’s because there’s a special Alaska Time Zone, one hour earlier than the Pacific Time Zone they use in British Columbia and the Yukon Territory. And there’s one more thing. I took the photo at right, of one of the first things I saw at the visitor’s center in Skagway. I thought at the time that it was unique to this part of Alaska. Or Footprints on the Toilet Seat: Guidebooks for Novice Travelers, noting Chinese tourists – for example – who behave “in ways the locals saw as inappropriate.” On that note see also Travel pro-tips from the Chinese government: Don’t leave footprints on toilet seats [or] spit in hotel pools. All of which is – I suppose – one reason they say Travel Broadens The Mind. Re: Lake Laberge. Most people know the name as “Lake Labarge,” from the poem by Robert Service, The Cremation of Sam McGee. In the poem, “the narrator winds up hauling the body [of Sam McGee] clear to the ‘marge [shore, edge] of Lake Lebarge. '” So Service changed the name to “Labarge” to rhyme with “marge.” (See artistic license – also known as “poetic license” – at Wikipedia.) 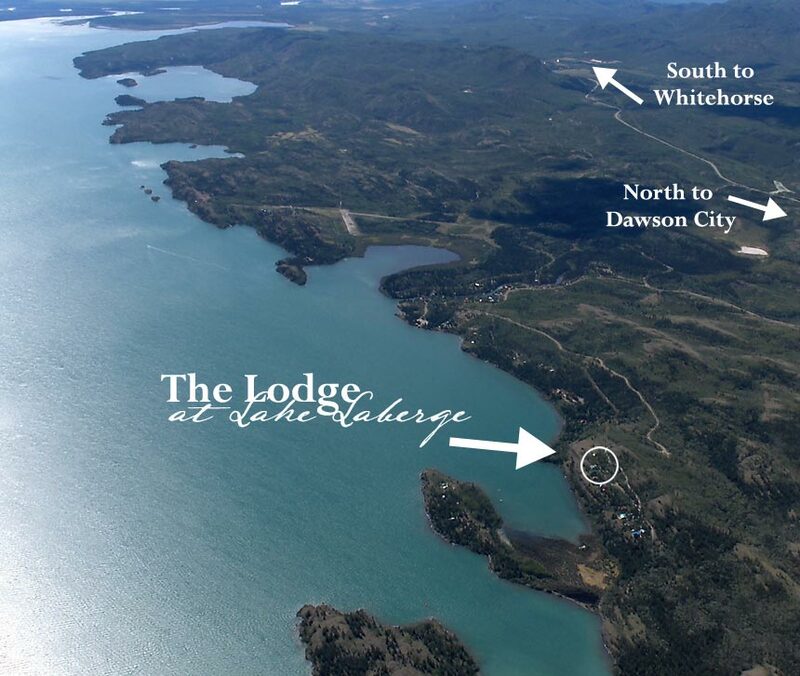 Also, the image of Lake Laberge is courtesy of lakelaberge.ca. The lower image is courtesy of The Wizard of Oz – Wikipedia. 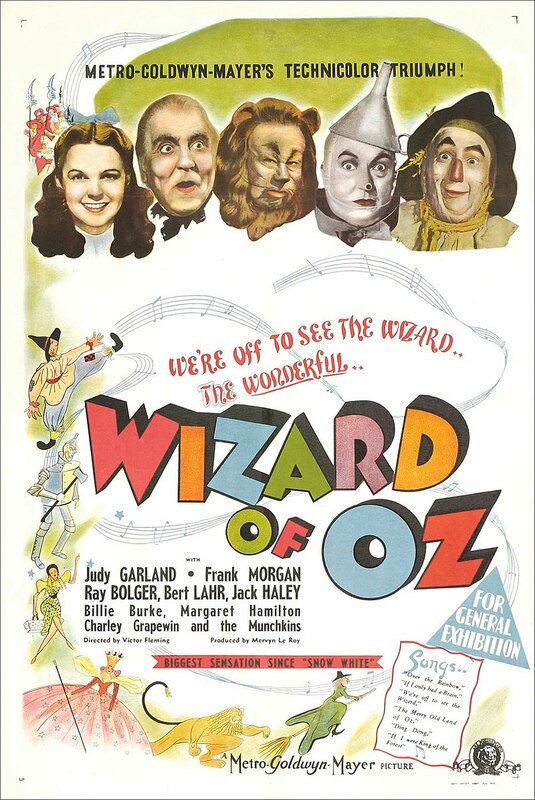 See also No Place Like Home – Wikipedia, which noted that – aside from the famous line in “Wizard of Oz” – the phrase may also refer to “the last line of the 1822 song ‘Home! Sweet Home!,’ (John Howard Payne and Sir Henry Bishop); the source of inspiration for the other references here: ‘Be it ever so humble, there’s no place like home,’” and/or “‘(There’s No Place Like) Home for the Holidays,’ a 1954 Christmas song most famously sung by Perry Como.” For a “live” version, see also There’s No Place Like Home – YouTube. This entry was posted in Travelogs on August 28, 2016 by bbj1969per@aol.com.